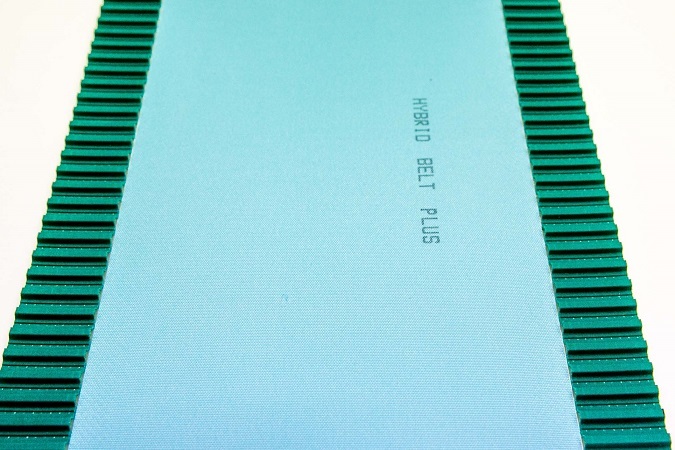 The HYBRID BELT PLUS is part of the HYBRID BELTS SERIES: innovative belts with unique features within the market, combining successfully the positive features of timing belts with and conveyor belts. The main feature of HYBRID BELT PLUS is the application of two or more timing belts at the edges of a polyurethane conveyor belt or in central position. Compatible for fabrication with other thermoplastic materials. Many profiles and coatings are possible to suit specific applications. The range includes different size, fabric, compounds, colors and patterns. Are you interested in HYBRID BELT PLUS?